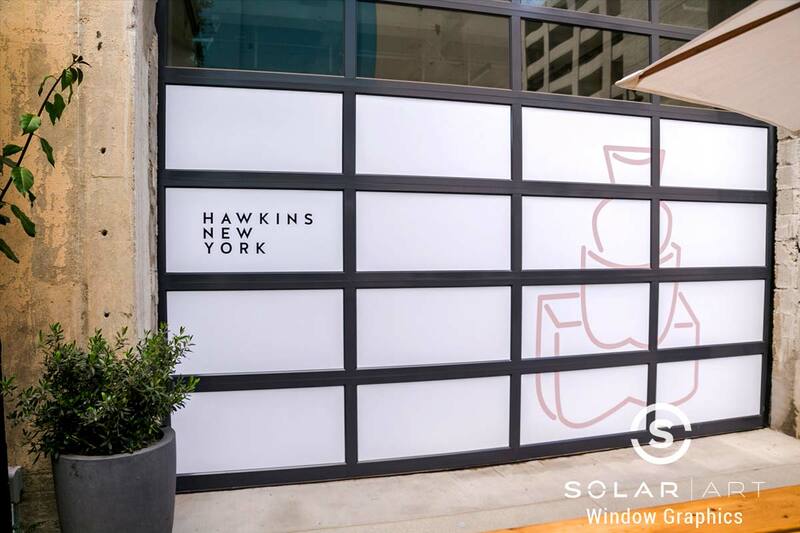 Solar Art installed really cool custom graphics to a commercial building in downtown Los Angeles, California. The custom graphics were installed for privacy purposes. This store was not yet open and the customer was completely redoing the interior before the grand opening. There was going to be a ton of ugly construction going on that they didn’t want potential new customers to see. They wanted to temporarily install privacy window film for when the construction was going on, but then have it removed when the store was about to open. Since they weren’t looking for a permanent change, window film was not only a cost effective and easy solution, it also gave them the option to brand and promote their new company. This customer worked with both our in-house graphics team and sales team to produce window graphics for all the windows in the building. They decided to use the window graphics to promote their new company. They wrote the name of the store on the window graphics so people walking by knew what was going into the space and could research the store and let them know they were coming soon! This completely prevented people from seeing all the ugly construction work going on in the building. As an added bonus, not only was the privacy window film a great advertising tool, it also reduced heat in the building for the construction workers and blocked 99% of UVA and UVB rays. This customer decided he wanted to use custom graphics for privacy window film, but that isn’t your only option. If you don’t want custom graphics, you can install a blackout window film or a whiteout window film that will also completely prevent anyone from being able to see into the building and is also easily removable. 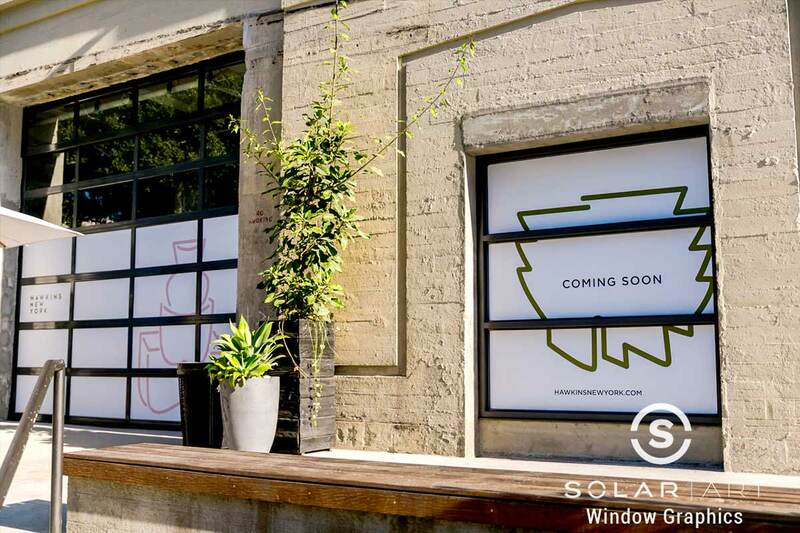 Once the construction was over, Solar Art came and removed the window graphics with no damage to the glass and the store was ready for the grand opening! The customer was really happy with the results of the privacy window film because the construction zone wasn’t an eye sore and he was able to market and advertise his business before they were even open! Privacy window film and custom graphics work great in both residential and commercial settings. Solar Art also services anti graffiti film, security window film, solar film, decorative window film and exterior building wraps which will all make your business more enjoyable and safer. Contact Solar Art today for a free quote! Privacy Window Film can be a decorative window film such as blackout window film or it can be custom graphics. Privacy window film can be used to temporarily hide an area. Contact Solar Art to learn more!